It’s not uncommon to not just cut one person out of our life but many after going through a dramatic breakup or the like. There are times that call for change and transformation but there is a big difference between that and shutting people out of our lives in a massive reaction, which may not be the best way to deal with the situation at hand, and as you’ve shared Michael we could actually maintain great relationships with them. Love is love so even if we are not in a romantic relationship with someone any more it does not mean that the love has gone away. It’s interesting that the things we do seemingly to protect ourselves from hurt following the breakup of a relationship cause more hurt than anything else and we do this to ourselves. Michael, your break up feels so adult and so calm, unlike most break ups that can be charged with upset and emotions. It is so healing when we can remain friends with a previous partner and really not hold onto any resentments. I like the idea of splitting up in love – kinda like falling in love. Breaks the idea that we fall out of love, but rather there is just a point when the relationship naturally comes to an end. It doesn’t have to end with slamming doors and cutting people out. When we experience and are inspired by a true way of living there is no telling how far reaching this can be. It highlights the responsiblity we have to live this for ourselves as it could be the turning point for another in their lives to live that true way for themselves. The fact that when relationships break up and couples do not talk with each other or do not remain loving, exposes that true love and respect was not there in the first place. If this foundation had been built between the couple then this would be still present just the nature of the type of relationship would change. i.e no physical intimacy. What we react to most of the time in breakups or arguments between Romantic partnerships is that we see hurt being hurled around. Breakups and fights can be about love. We have to be clear and feel and if we blindly reacted then we have chosen to attack with lovelessness.. When there is love in a relationship, there is love in every form it may have, and this is always an inspiration worth to be witnessed. If a relationship doesn’t foster change and evolution it perpetuates stagnation, dullness and disregard. Your sharing Michael leaves me to ponder what my own relationship with change is like. Do I move on lovingly and gracefully or stubbornly hang to habits, comforts and the past? Truly inspiring Michael.. the shift in our relationships need not be all dramatic and reactionary, though often the reaction and blame are chosen as a way not to feel our own hurts. That this is a choice and not a given is great to share. Thanks, Michael. Love how you were able to keep the humour going with each other throughout the process of breaking up, which shows how strong your relationship was and continued to be. I agree, there is a lot to be said for making light, but not trivialising the experiences we have. Things do not need to be heavy, if we are light, be gentle and understanding we allow ourselves space to see more clearly, and do not fall into emotional overwhelm. Love holds us no matter what we are doing if we stay connected to our essences, so any relationship when living in such a way we will start understanding more and more and not judge or condemn another so that you we can all live in total agreement as Michael has so lovingly shared. I love this article in every way, but most especially for the playfulness that you bring to a subject which for many would normally be very painful, and as you hold absolute respect for what that pain is – having been through it yourself, you are also a great role model. ‘Seems mad when I look back now at how many wonderful human beings we can cut off from our lives just because of one hurt, allegedly from that one person. I say allegedly deliberately, because life experience has shown me that we get hurt by ourselves, not by others.’ There is a beautiful reflection here in your words Michael and a wisdom we would do well to heed. 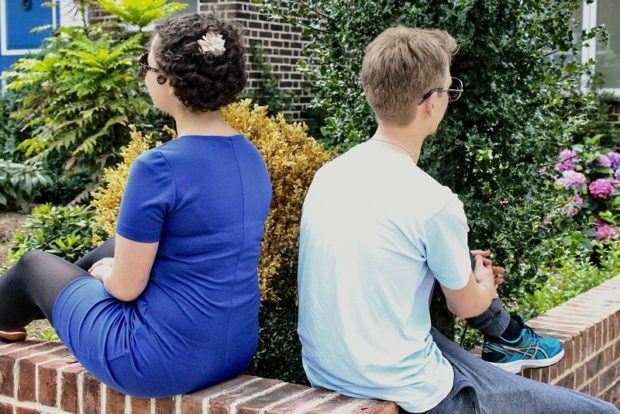 The more resentments that accumulated during a relationship the harder it is to have a good connection afterwards. The reverse is also true in my experience. Yes, resentment for me has come through self fury and regret, when I have blamed others, on reflection it has been because I have been unwilling to take responsibility, hence the self fury. The way a relationship changes (never truly ends) will be determined by the way it has been lived. Relationships based on love and truth never end and have this as their foundation no matter what form they may take. Hear hear Michael it really is that simple “that we are all forever learning and that we are all deserving of nothing but Love.” – I love how you have openly shared your inspiration and learning and how this is absolutely bucking the trends of relationships that end with such remorse and fury. There absolutely is another way and it starts with connecting to the love that we are and holding everyone equally in this, no matter what. What a learning and the humour is , that this truly is just normal and the true way of interacting . As a friend said to me one time its never about ” separation ” . ” There is nothing wrong in parting its all about how you part “. We can be so burdened by shame, resentment, bitterness and anger, as well as a sense of failure when relationships break up that they break down. Letting go of pictures about how we need to be but only paying attention to our quality means that the love can continue to express, simply in a slightly different way. Knowing that true love never leaves and is with us always no matter what happens helps us understand relationships more. It is our hurts that get in the way not that love dies or stops. The greatest role model for loving supportive relationships is the Benhayon family and like you Michael, they are my greatest inspiration and one I have learnt so much from by observing how they live and share their lives together. What if we treated all relationships this way, understanding that they change and move on. It feels enormous to let go of our investments and pictures of how we want things to be yet immensely healing for all involved. There is always, The Way, in every moment we breathe. People seem to think it is almost a given that we need to be at odds with our ex’s but as we know this just isn’t the case. There are many examples of people, including myself, that are still in touch with those we used to have closer relationships with. There is no reason at all why we shouldn’t. if we make our relationships about love then love can remain in the ending of it’s cycle. Awesome blog Michael and it has made me realise how much we walk around guarded or in protection with people every day because of past hurts, just in case we get hurt again, but unfortunately this prevents us from really maximising the potential of love and connection that is in offer. Protection is the greatest hurt and so I commit to be as raw as vulnerable and as honest to everyone as possible. From former days of emotional break ups, lies, and bitter tears, to breakups that leave the residue only of love and the space for more love to be through expansion – what growth in understanding you share in your post Michael. Absolutely Zofia there is no reason why this can’t be an opportunity for growth on both sides. Michael, this is beautiful; ‘We continued to live as a family, sharing meals together and supporting each other where and when needed.’ It feels very true that we are still family and that we can still support each other after breakups and that there need not be bitterness and drama, but instead care and support. Michael, this is really interesting to read; ‘it’s as if there’s a rule that where there is a break up, there is a drama.’ I can feel how true this is, it seems rare for romantic relationships to end amicably, without blame and judgement. I love how you have shown what is possible – that there can still be love and respect for each other when the relationship ends. “I say allegedly deliberately, because life experience has shown me that we get hurt by ourselves, not by others.” Yes we get hurt by our reactions to situations, not by the situation itself. It may seem a bit of a stretch for many but I also experienced that when I live in a loving way with myself and others, situations don’t get to me as much and when they do I know how to reflect, understand why and how to let it go. Becoming aware of our own input in the situations is exactly what gives us the power to get not affected by it and walk free from it. Lieke, what you write is very true. With your amazing blog Michael you showed us how important true role models are and which effect they can have in our own lives. With that knowing it is essential to be a role model too what you are with sharing how your last break up was – Thank you for being such an inspiration. It is beautiful and in truth natural to live the love that we are which cannot be bound by societal rules, ideals or beliefs. This is the reflection sorely needed in the world. Being love is the greatest gift in its own right, a movement that is simple and flows with the universal direction of evolution. Amazing Michael, you are an inspiration to us all. What you’ve shared is certainly rare in our society, to be able to live together with your ex-partner and continue a relationship after a breakup. This shows us that relationship breakups can be deeply supportive, loving and honouring of each other, very different to what most of us witness. You could say that it shows we never need to have a “relationship breakup” as we stay in relationship with everyone it is just that certain things have changed such as no longer sharing a bed and maybe we have less time together but the love has not changed. It is interesting how the words we use can frame situations in the negative when this is not actually true, such as ‘breaking- up’ or ‘broken heart’, ‘falling out of love’… The way we use words can reduce what is truly on offer. So true Nicola, I love this. `the type of relationship may change but there will always be a relationship, In my experience, the love can grow even after a break-up. great point Nicola – it puts in question what a relationship ‘break up’ actually is. As Victoria and others have said, using the term ‘break up’ sounds destructive, and as though the relationship is broken or we are broken, yet as Michael has shown here, there is another way where nothing is ‘broken’, it simply moves to being a slightly different relationship. Thank you for sharing your experience. I also had the experience from society, friends, the movies etc that once a relationship ends, the ‘love’ that was there ceases. People take sides, blame is sent flying and it seems any behaviour is acceptable because we are hurt. I also experienced the complete opposite being around the Benhayon family and this started to break down the acceptability of animosity when separating. Because of this I have an ongoing relationship with my ex and his wife, who are both an important part of my life. Yes, Michael, I too have experienced the deepening of a relationship when it has changed from one form to another, and it goes to show that we cannot have any pictures about what love should look like. Love is so much grander than any pictures we could possibly have. That is beautiful to feel and really shows how constricting our traditional images are and how they literally stop a true development in a relationship. Sitting at a family table with no inference to titles would have been a fascinating exercise. A bit to wrap your head around as the roles of mother, father, sister, brother, daughter, son are deeply ingrained in us all. Yes it is liberating to simply live who you are without having to live up to the roles that the world imposed on us. Your experience observing how the Benhayon family are with each other is an experience that will never leave you and an experience that ought to be normal for children to witness, the sad truth is ‘normal’ is as you say the exact opposite full of hurts, anger and revenge. Your sharing raises the question of what is ‘normal’? Is it what we see most and get as examples? Great Serge Benhayon and his family set true standards for what is actually normal and then you can’t stop loving someone. Just like you cannot love one person more than another. I have a few ex partners and can say I love them all dearly. I always felt it was such a shame that society views it as weird to keep in touch and remain good friends. I have heard people condemn their exes as horrible people and perhaps a lot of what went on behind closed doors was the opposite of love. But at the core of us all we are amazing. It may seem so much easier to blame another and not look at our part in allowing disrespect or abuse at whatever level it was present. I’ve been in unloving and disrespectful relationships but I can see both our parts in this. Now I’ve healed much of my part, I have no need to hold whatever went on against an ex. If they want to remain friends and are respectful I’m all for being in touch. And though I know I will never see many of them again I know I hold only love for them in my heart as I walk around. That feels amazing. I can relate to what you have shared Karin, in as much as that I do not hold my ex-husband as the bad guy. If anything I can see how we were together much more clearly now and even though I never see him and probably never will as he lives overseas, I have no resentment towards him and would welcome an open, loving relationship. This is so cool what you shared here Karin about being honest about our own part in allowing abuse or unloving aspects in our relationships, and I can see how by you healing many things that allowed that disrespect and holding your ‘ex’ with love, that it really clears things and heals that relationship, even if you never speak to them again. The other bonus to this approach is that it allows all future relationships to be that much more loving, caring, considerate, and open. To love an ex partner dearly can be looked upon as weird and unlikely but what if this was the norm and that relationships that come to an end does not mean that the love ends. This story exposes our perceptions of blood family where there is often a pretend of all being well but there also can be ghosts in the cupboard, taboo subjects not discussed, and withheld resentments and feelings in relationships. It is quite unheard of for ex’s to not get on with their previous partners but you show how we can work on all relationships with openness and honesty, we don’t have to behave in a personal and unpleasant way. Life has many chapters, different schools, different jobs, different friends and colleagues and as we grow and evolve and often different partners unless we happen to choose to evolve together, so why isn’t breaking up seen to be as natural as getting together? It is surely a blessing to set another free to follow their path. Sometimes I wonder why so much importance and even expectation is put on couple relationships lasting – in some instances a lifetime. Great if it does, fine if it doesn’t, surely its the quality of love we live in and express around us every day that matters, what we are currently manifesting, not if we do it with the same person long term or not? Sometimes things just run their course and its time for a new chapter, set one another free and know that you can always be in the love just as the Benhayon family have shown us.